Hi friends and family…did everyone enjoy their long weekend?!? 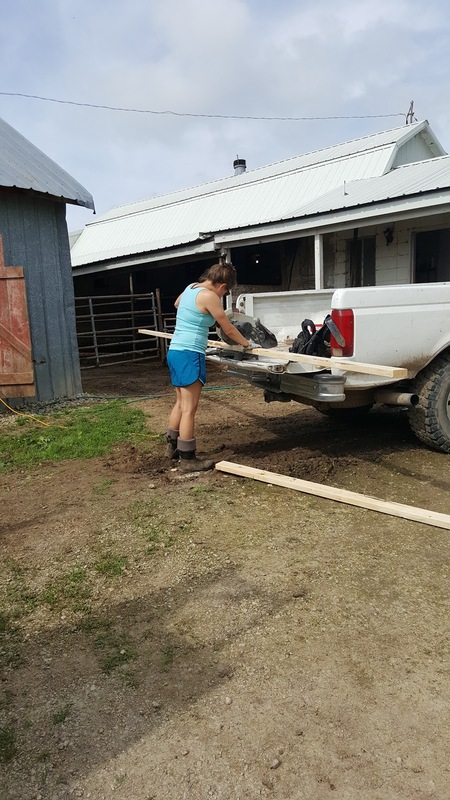 I know we did and accomplished quite a few extra projects because of the nice weather we had, although it did rain a little bit everyday, lol! Right now when you check your forecast it pretty much says 40% chance of rain everyday, so if the sun is shining and it’s not raining you try and get as much accomplished as possible! This long week consisted of building, fixing, eating, mowing, playing, relaxing, eating and baseball! We took it kinda easy, haha! 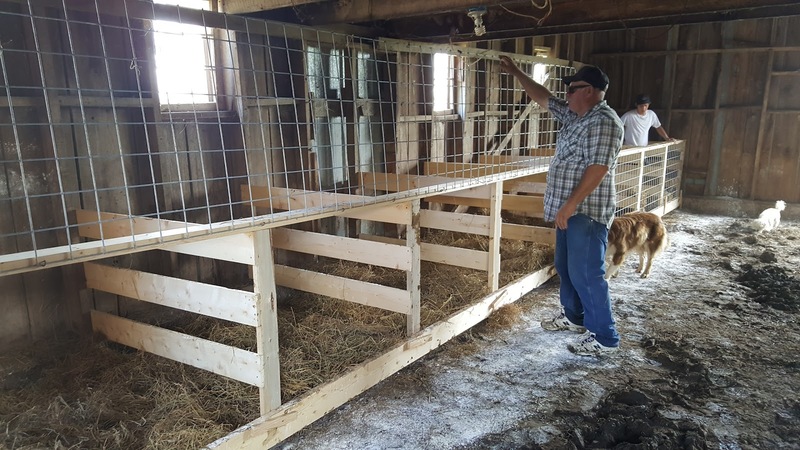 So the biggest project we accomplished by far was, the constructing of a new line of calf crates! This was a two day project because both my Dad and I couldn’t devote all our day to building, but before I show you more pictures of the crates, let me walk you through our weekend! 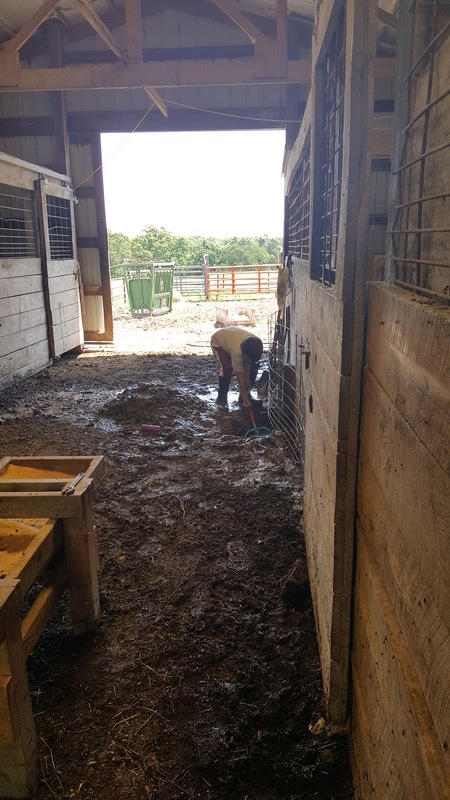 To start the most important project on the list was fixing the broken water pipe in the horse barn again! The original owner of the property came by and said, originally there was no water in the horse barn. A previous tenant moved water in there and for whatever reason it’s not working so we are capping it off and going to put the water back to where it previously was. 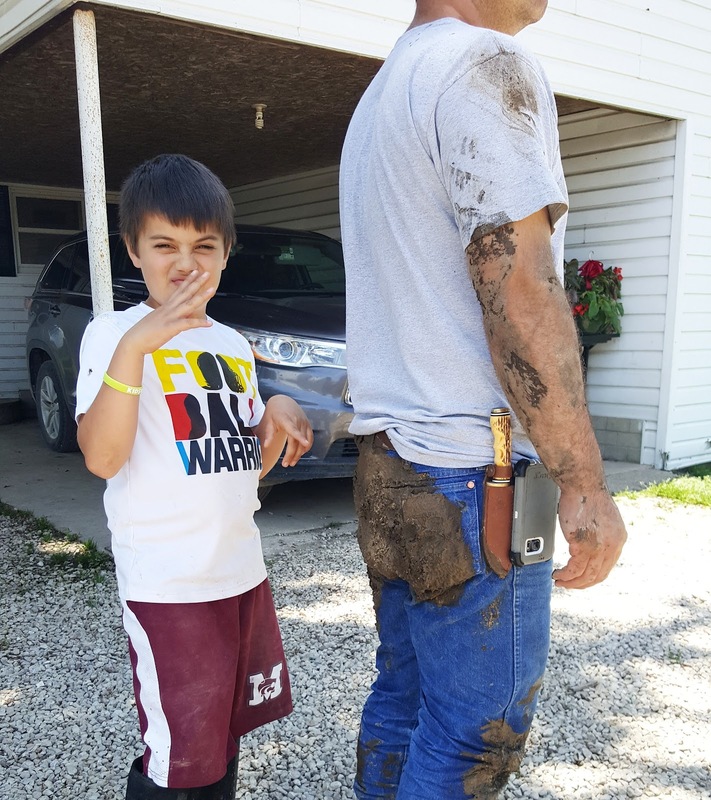 Can you tell who the main man was who fixed the pipe?!? 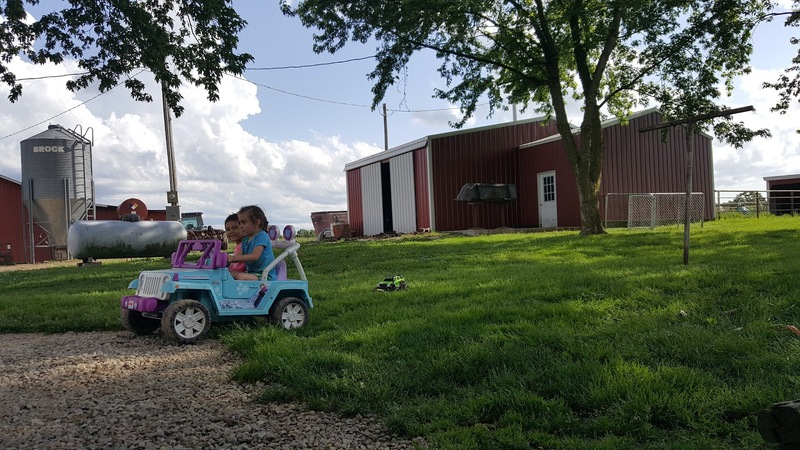 Since we had such nice weather the girls played sand table, drove Maddie’s power wheels jeep, played water, watched movies and played games with Grandma…I would say they has a FUN weekend! 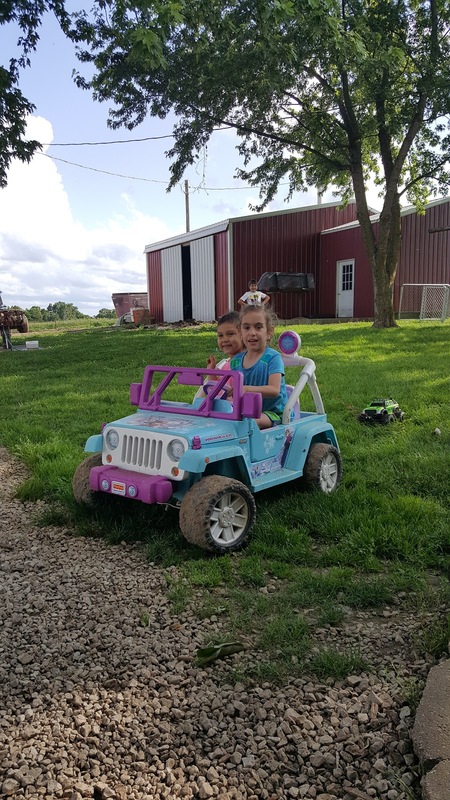 If you look closely you can see an old remote controlled car behind them, Bryce attached it with a string so the girls were towing a car, lol! 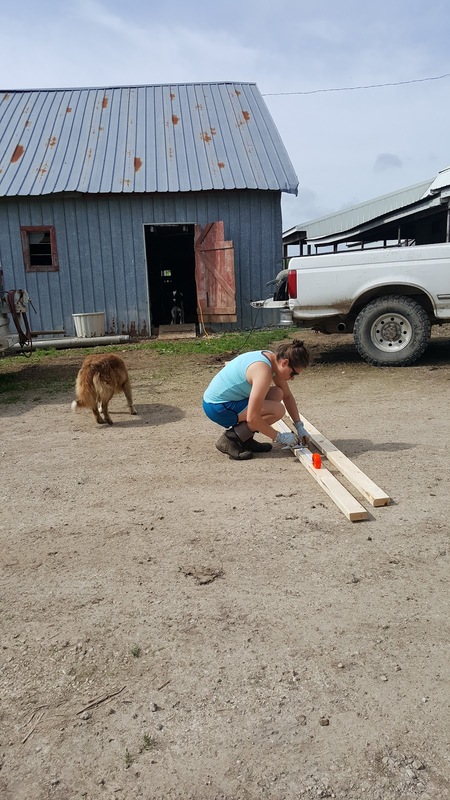 So building calf crates is a whole bunch of the same thing over and over…and I spent a lot of time measuring, leveling, re-measuring, cutting, etc. 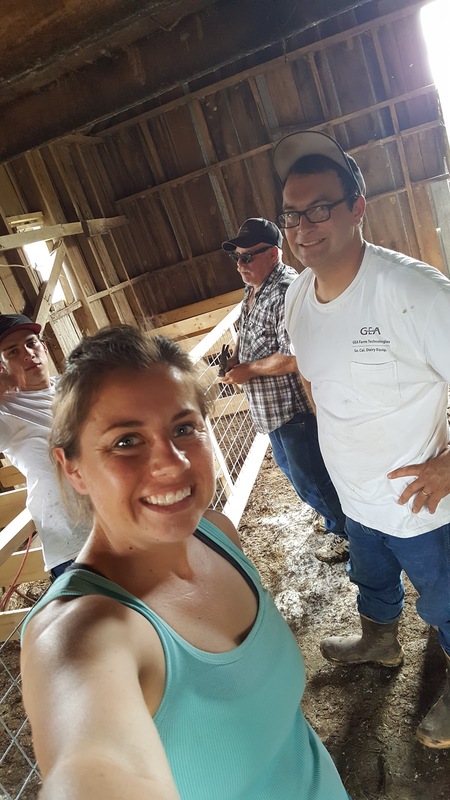 My Dad and I constructed 90% of the calf crates and the boys came in to help with the finishing touches. 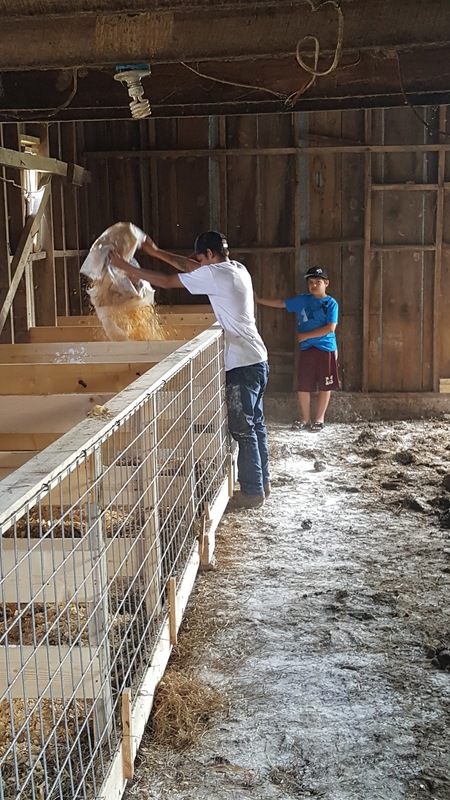 Jer and Ty had a lot to do on the dairy with regular chores so they came and helped when they had a chance. At the end of this project I was a pro at cutting wood, lol! Here’s a closer look of the finished products! 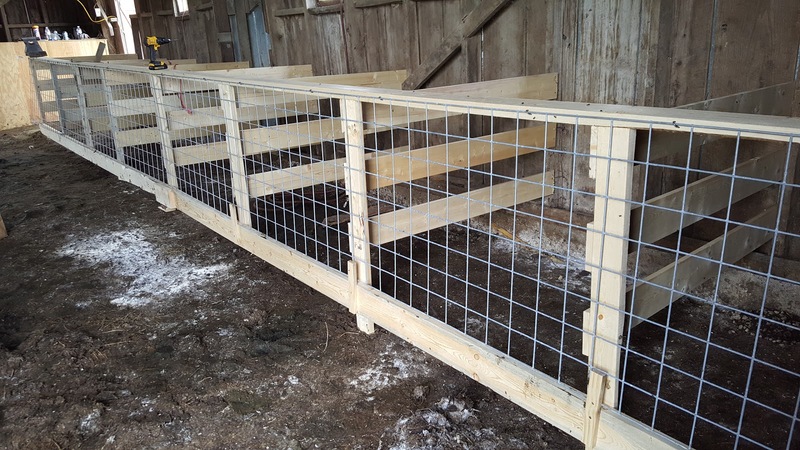 The calf crates open old school garage door style where the whole 16 foot hog panel swings up and on the bottom it has some wood stakes we modified to hinge over the panel to stay closed. For the bedding we put straw on the bottom and then a layer of shavings on top. Nice and cozy! 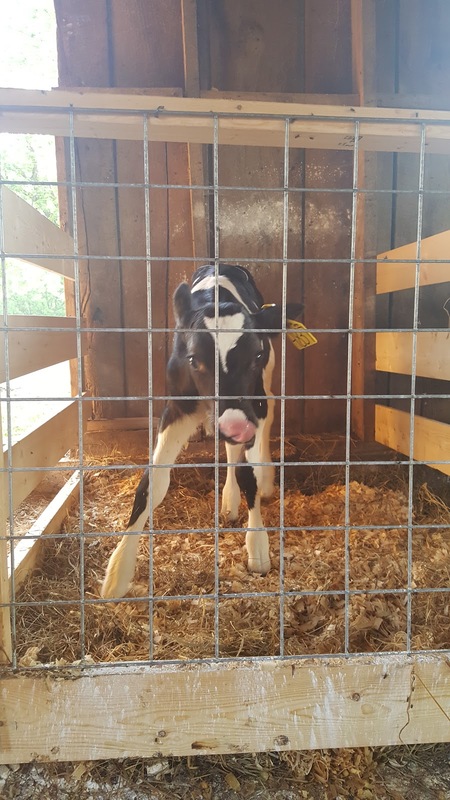 These calves are going to love their new crates! The corn fields are lookin good, I can’t wait to get back out there and see for myself! Photo cred goes to Jer for snapping these corn pics for me. My Mom and Dad pulled together a delicious lunch for all of us to enjoy! and finally coleslaw, it was a feast and so good! After we finished eating we all sat under the carport and took a second to relax and waited for heartburn to kick in…no I’m just kidding, lol! When little one first came to us they told us she didn’t & wouldn’t take naps, well I am here to say she takes a nap everyday for me and it is definitely needed and helps her and us out with the second stretch of the day! Swiper no swiping, swiper no swiping! While Naomi was napping, Maddie was watching a movie on Daddy’s phone having some special time. 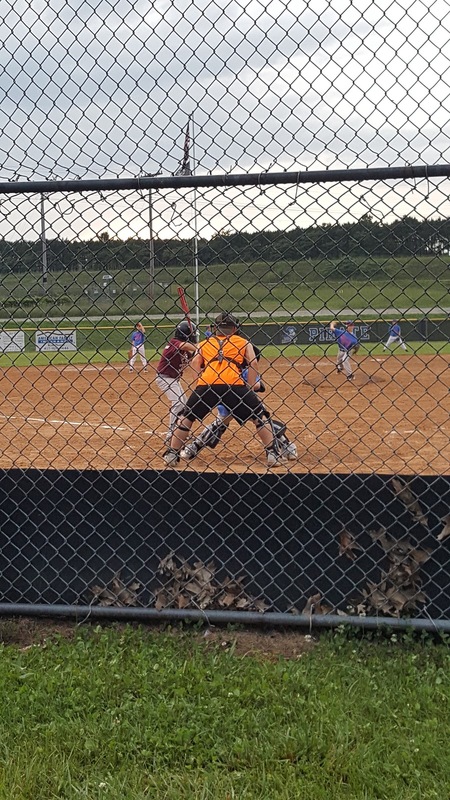 And finally Jer, Bryce and I ended the long weekend with a 7:30 game about 40 minutes away from us. My Mom and Dad watched the girls and put them to bed for us because it was going to be too late for them after the long day. I hope you all had a great long weekend spent with family & friends and I’ll talk to ya soon!